Meanwhile, the 50-second promo of the second episode of the final season suggests that clock keeps ticking before the Night King and his army of the dead arrive. Winter is here! Season 8 of “Game of Thrones” finally premiered on Sunday, April 14 on HBO and it was epic. 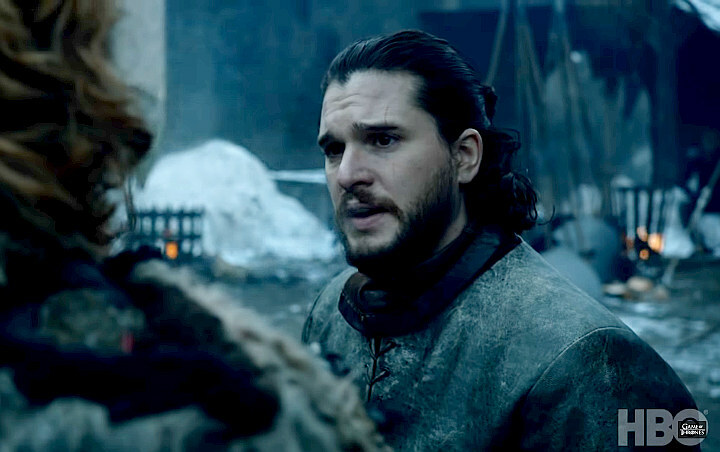 The long-awaited episode featured epic reunions between multiple characters, the arrival of one major character in Winterfell as well as big revelations regarding Jon Snow (Kit Harington). [SPOILER ALERT!] The episode kicked off with a boy running in a snowy forest back to Winterfell as he saw Daenerys Targaryen’s (Emilia Clarke) army. Arya Stark (Maisie Williams) was among the people who were waiting for them, though she was more excited to finally meet Jon Snow for the first time in years. Riding in a carriage among Jon Snow and Daenerys’ army were Tyrion Lannister (Peter Dinklage) and Varys (Conleth Hill). As for the northerners, they looked a little bit hesitant to welcome the newcomers, though Arya and Sansa Stark (Sophie Turner) couldn’t help but be in awe when Dany’s two dragons fly over Winterfell. Before Jon introduced Dany to Sansa, he came to greet Bran Stark (Isaac Hempstead Wright) who was in the courtyard. “Look at you! You’re a man!” Jon said, to which Bran responded, “Almost.” Dany and Sansa’s first meeting was a far cry from a warm welcome. The latter looked at Dany her up and down, before saying, “Winterfell is yours, your grace.” Despite that, Dany and Sansa kept giving each other daggers with their eyes during the meeting later. Meanwhile, Cersei (Lena Headey) was determined to get Tyrion and Jaime (Nikolaj Coster-Waldau) killed with a crossbow that Tyrion used to kill their father Tywin (Charles Dance). Cersei also had an intimate moment with Euron Greyjoy (Pilou Asbaek), who later boldly asked her how he compared to her past bedmates, including Jaime. “I’m going to put a prince your belly,” he told her while walking out. Theon later saved Yara, who was imprisoned by Euron. Yara planned to go back to the Iron Islands to hold the place down for Jon Snow and others. While Theon would go wherever Yara headed, she knew that Theon had always wanted to go to Winterfell, so she let him go. Back to Winterfell, Varys, Tyrion and Davos, who were not aware of their blood relationship, were worried about them. Dany, meanwhile, asked Jon to ride Rhaegal. At some point, Dany and Jon shared a passionate kiss when they were out with the dragons. Before the episode concluded, fans got to see the first casualty in the premiere episode. Tormund Giantsbane and Beric Dondarion, who survived the destruction of Eastwatch by the Night King’s ice dragon, Valerion, back in season 7 finale met up with Dolorous Edd of the Night’s Watch at the Last Hearth. Alongside their combined group of Crows and Wildings, they went to the eerily silent castle only to find dead young Ned Umber, who was pinned to a wall. Surrounding his dead body was a spiral symbol of bloody, severed limbs similar to other symbols left behind by the White Walkers throughout the series. They believed this was a warning from the Night King. Before they got out of the castle, presumably dead Ned went back alive but Beric was quick enough to kill him with his flaming sword. In related news, the preview of episode 2 of “Game of Thrones” sees Dany threatening to kill Jaime, who killed her father. “When I was a child, my brother would tell me a bedtime story, about the man who murdered our father. About all the things we would do to that man,” Dany is seen telling Jaime. The promo also hints at the growing tension between Dany and Sansa. “Game of Thrones” season 8 airs at 9 P.M. on HBO.